In this episode we talk to John Kirkland. 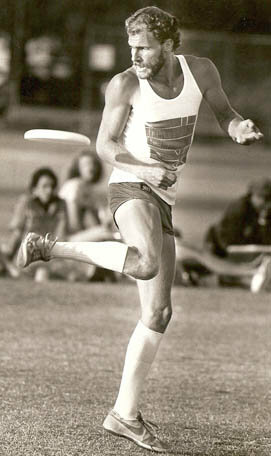 John is a Hall of Fame Inductee, a Pioneer, and an Innovator of Freestyle Frisbee. Randy pays homage to John for a specific moment at an NAS tournament in 1977 that inspired him to pursue freestyle. 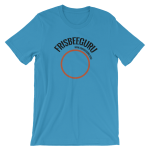 John recalls his introduction to Frisbee in 1957; there was a brilliant blue summer sky and he and his fellow campers were throwing around a Pluto Platter. He purchased one of his own when he got home, and that was the beginning of a love affair that has gone on for 61 years. There was a long stretch, between 1957 and 1973, where his game was about catching and throwing and not much else. It wasn’t until the IFT in 1973, that the exposure to new players completely transformed how he saw the sport. John credits Roger Barrett, from the Berkeley Frisbee Group, with giving him a list of other players to meet. Find out how important that list was to John and who inspired him. In John’s mind, the genesis of the modern-day sport was OCTAD in 1974. Hear what Whamo’s role was in the development and how that original list of players grew. Thanks to John and the many others who took the Freestyle from the toy shelf to the sports world. « Poll: Do You Have a Family Member who Plays Frisbee? Please finish the interview with John Kirkland. There is much more to the story.